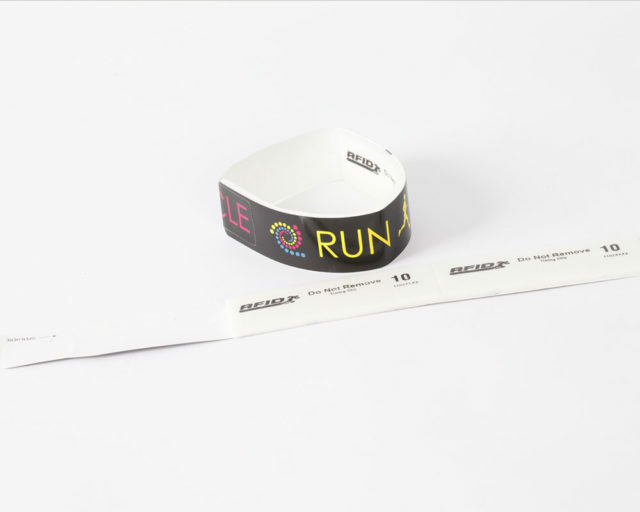 The disposable multisport tag is the ultimate tag for those that require maximum read rates and to avoid the hassle of collecting tags post race. The disposable ankle band is made from strong PET material that will not come off in the water which makes it ideal for triathlon, obstacle races, open water swimming and XC skiing. Ankle bands can be supplied with your choice of tag (Short Dipole or Dogbone) and can have a single tag or double tag applied.